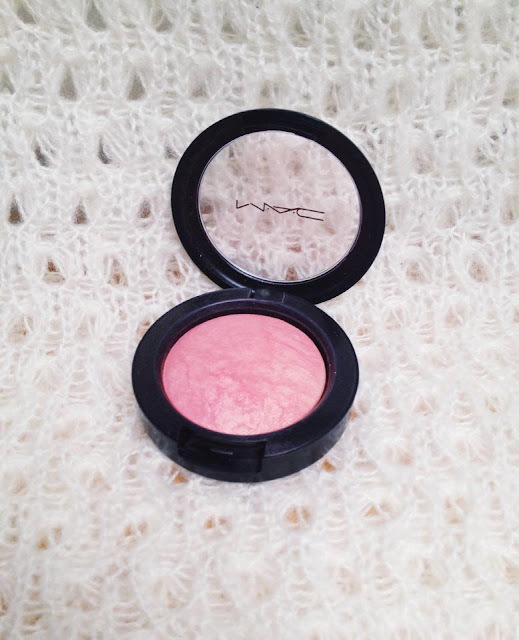 Today I'm sharing with you my thoughts on the beautiful Mineralize Blusher - Dainty by MAC. This is my first MAC mineralize product and I am in love. This blusher is a gorgeous soft pink with subtle shimmer. It can be dusted all over the cheeks for a nice natural sheen or it can be built up to a lovely pink flush of colour. It's finely milled and very easy to apply, it's also very blendable so if you apply too much it can just be buffed away. As my skin has gone from being oily to very dry due to the weather change this blusher is perfect as it doesn't stick to the dry patches of my face, if I apply it lightly. It is a tad pricey at £20, but as with MAC you pay for the quality of the product and it's definitely worth it. You do get quite a lot of product too, I don't see myself hitting pan any time soon and I use it pretty much everyday. Do you own a MAC mineralise blusher? What's your favourite?